I had the chance to check out a few beauty steals from this fabulous site and I wanted to share a few with you! I just don’t believe Valentine’s Day just wouldn’t be as romantic without a fine fragrance. Am I alone? I decided this year to go with Coach. Coach is a classic brand, well-known. One of their newer fragrances in Coach Poppy. Coach Poppy combines sweet, aquatic, powdery, vanilla, and citrus notes to create a clean, fresh scent. Most people would smell this and think it’s mostly sweet, but I found it to be really complex. The scent last all day and well into the evening, making this perfect for a date night. On FragranceNet.com you can save $15.05 on a 1.7oz bottle (like the one shown here) paying only $44.95 for a bottle that retails for $60 everywhere else! They carry nearly every bottle of perfume I can think of and offer them all at 20% off or more! Aside from amazing fragrances, they also offer a wide range of beauty items. Brands that I’m absolutely in love with! 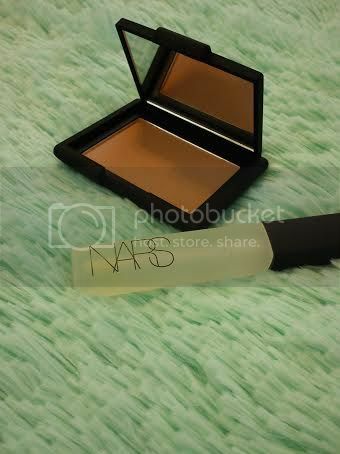 Like NARS. I don’t get to shop NARS often since they don’t sell this brand at Ulta, so I jumped all over the chance to try some NARS products for a cute Valentine’s Day look! In the mean time, you can enter to win your own 1.7oz bottle of Coach Poppy from our amazing sponsors at FragranceNet! Good luck everyone! ← Geoff & Drew’s Valentine’s Box! Chanel Chance. I pay $90.00 for it. I would DYE to win this giveaway! My fingers are crossed! 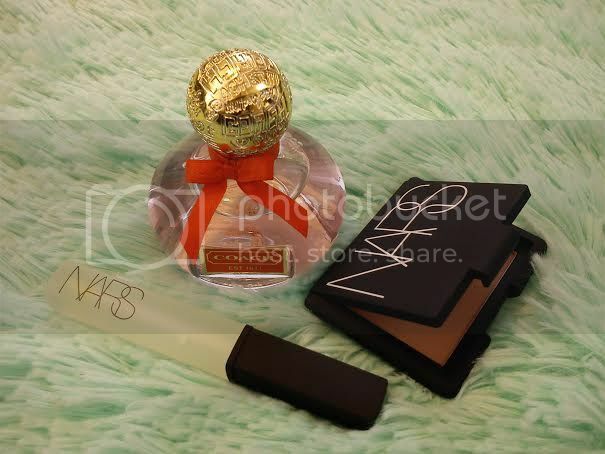 I LOVE Nars and Coach! Thank you for the chance and for all the amazing blog post! I love coming here everyday and reading all your post! You know your beauty products!! My favorite perfume at this moment is Tresor Midnight Rose, I pay $50 an ounce but I would love to find it cheaper,heading to their website now. Thanks I love all your giveaways & you are so sweet for holding so many of them. I am wearing Lavanilla Grapefruit. I forgot how much I paid for it since the bottle is almost empty! I like Chloe and Clinique Aromatics Elixir. The last bottles I got were gifts so I don’t remember how much they cost since its been a long time since I bought perfume. Right now I am wearing perfume from Bath and Body works because I got it for a Christmas present. But I am trying to find a good fragrance that I really like that is reasonably priced. I haven’t had perfume in a long time, I use to use Obsession, it was $55. Thanks. Vicki. I like fresh scents. One brand I like is Curious. My favorite perfume is Channel. I paid approx. $40. My favorite perfume is Versace Bright Crystal. I usually use coupons online when I shop for it , but it’s still around $50-$60. I keep coming back to your blog to read all of your AMAZING recommendations! I love everything you recommend and usually end up buying at least a few things a month that you have reviewed! Thank you for everything you do and writing such detailed reviews! Hoping to win! I LOVE Nars and Coach and can I just say, I had no idea that Fragrance.net.com had such amazing prices! I can get all the brands I love for a better price there! Thank you for introducing Fragrance.net.com to us!! 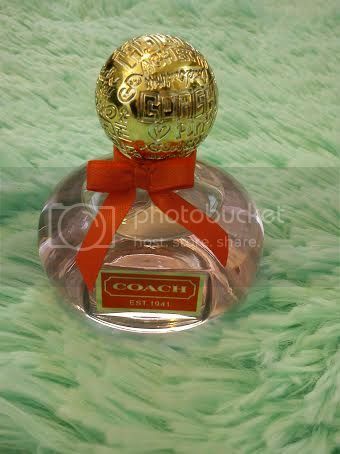 Winning a bottle of Coach would be amazing!! 3rd comment, sorry. My favorite perfume is Chanel Chance and I pay $90.00 for it. Much better prices at Fragrance.net.com! I love Thierry Mugler Angel and I pay about $50 for it. I like Acqua Di Gio and its around $50. My favorite is D&G Light Blue. I pay about $80 for a 3.7 oz bottle. Already left my comment entry but, just thought I would comment again 🙂 I keep coming back to see how much time is left on the R.C. haha Dying to win! <3 Thank you for such a detailed review on Fragrance.net.com! I checked them out and the have such a HUGE selection and everything is at a much better price then other places. Giveaway is finally over! Can’t wait to see if I won! Fingers crossed!! !